This suite is exceptionally inviting with its combination of warm, antique pine furnishings and subtle wall coverings. 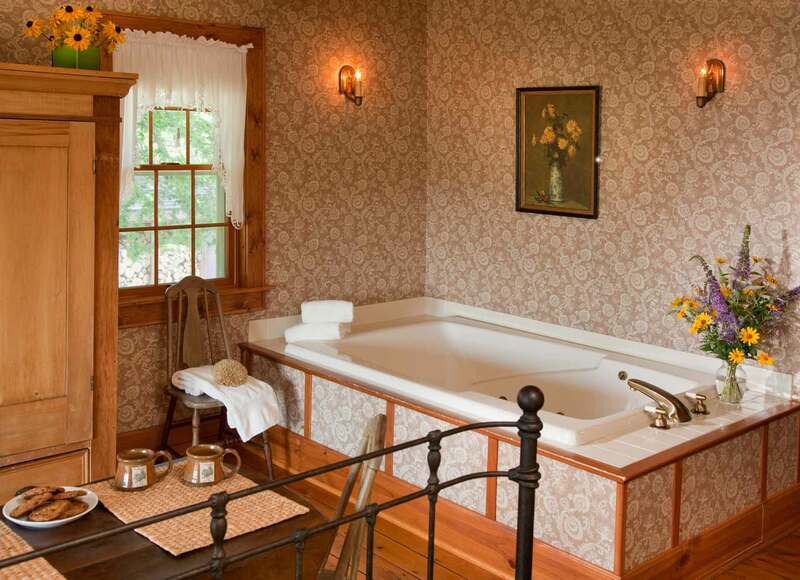 A queen sized, antique iron bed gives a wonderful view of both your gas fireplace and double whirlpool tub. The Sunflower is decorated with dried sunflowers, an antique armoire and a colorful area rug set on five inch fir flooring. The Sunflower is a fun suite you’ll remember for years to come.